Most people don't realize how closely digestion and the skin are related. 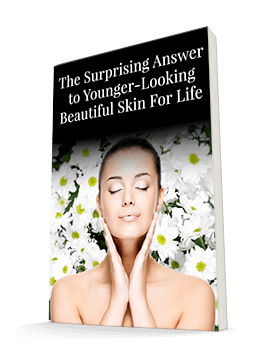 If you truly want glowing, beautiful skin, you have to start from the inside out. Good makeup can mask issues, but it can do only so much if your skin is unhealthy. Even an expensive moisturizer can't transform your skin the way a healthy diet can. It's no coincidence that 24% of patients with Crohn's disease have significant skin problems. Crohn's disease involves inflammation and swelling in the digestive tract. But it doesn't just lead to digestive issues, it shows up in skin conditions as well. Patients with other forms of inflammatory bowel disease (IBD), such as ulcerative colitis, often have skin issues as well. In fact, skin issues can show up as symptoms before the IBD manifests itself. Some of these skin issues can be a result of nutritional deficiencies — people with IBD often can't absorb nutrients well. That tells you how important proper nutrition is to optimal skin for those of us who don't have absorption issues. Your body can't absorb the nutrients if you don't consume them. IBD also can lead to psoriasis, which is linked to inflammation as well. Traditional Chinese Medicine believes that the bowel is directly linked to the skin, and it seems that they are right about this. If you want healthy skin, you must have healthy digestion. For example, breakouts on the chin are almost always linked to a digestive issue or insufficient hydration. Make sure you stay hydrated throughout the day. Keeping a water bottle with you during the day can help you remember to drink enough water. If you suspect you have digestive issues, one of the best ways to correct them is with enzymes and a probiotic. You can either eat probiotic-rich foods, such as yogurt or fermented vegetables, or try a supplemental probiotic or both. Supplemental enzymes can work wonders. I particularly like Integrative Digestive Formula and Advanced Probiotic Formula. I like this formula because it gets to the root of the imbalance. It not only aids your digestion in the short term, but has significant long-term benefits. It helps provide less bloating, better absorption, and of course — the vanity peace — better skin. The probiotic can help restore balance to the bacteria levels in your gut. You'll likely feel better internally and enjoy clearer skin as a bonus. If your digestive issues are severe and you suspect you may have a form of IBD, take action now. You'll need to find a doctor who can help you find the cause and work to fix the problem. IBD can affect every aspect of your health, not just your skin. If you believe your digestion is healthy, but you still want to help your skin look its best, make sure you're eating a wide variety of fruits and vegetables. They're full of the vitamins you'll need to maintain a healthy glow that radiates from the inside out.